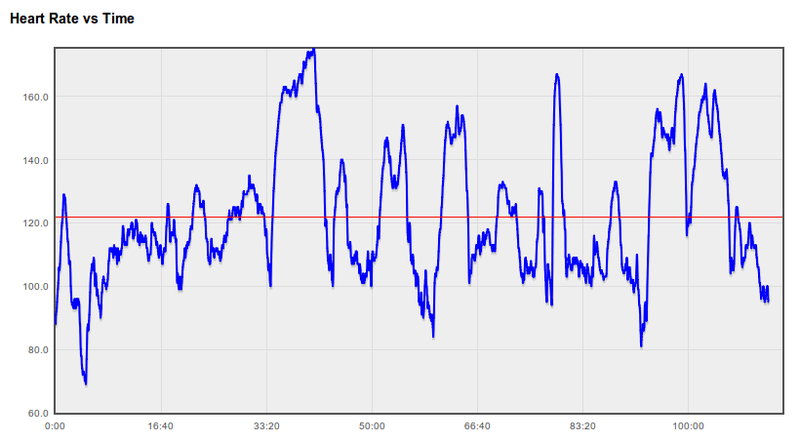 Support for heart rate logging in GPSLog Labs has been added for Garmin devices that use the Garmin Training Center format (i.e. .TCX files). Heart rates will be repeated to fill in gaps if the readings occur less than once per second, up to a maximum of 5 minutes. If you have a device that logs heart rates, and the graphs aren't showing up in GPSLog Labs, please let me know and I'll add support for it. Note that this will only work for logs out doors where a latitude and longitude is recorded with the heart rate, so if you're using something like a Garmin EDGE705 in indoor mode, you won't be able to view your activity or heart rates. Edit the tag, click the "Edit heart rates" checkbox. On that tab, the average and maximum heart rate values will show "edit", click that, type in the heart rate and click the save button. Once the system has heart rates recorded against your activity (either automatically or entered manually) they will show up in summary and comparison tables and graphs for routes and tags.